Arrange the materials on any table of about 2m x 2m. A round table is particularly good for communication. I made a round table top of four parts that easily fit into my car. Each quarter is supported by a small folding table. I painted them with blackboard paint. 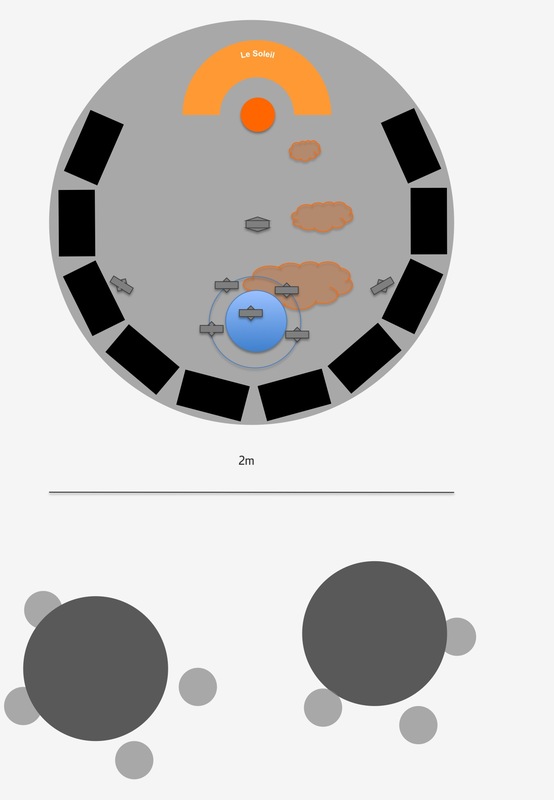 Make sure to calculate enough space for visitors to easily move around the table. Wheelchairs and buggies need a bit more space. WHERE TO PUT THE SATELLITES? IS THERE AN ORDER FOR THE BOXES? Position them in an order that makes sense to you. SDO- and STEREO-boxes where the visitors arrive first in order to capture their interest. 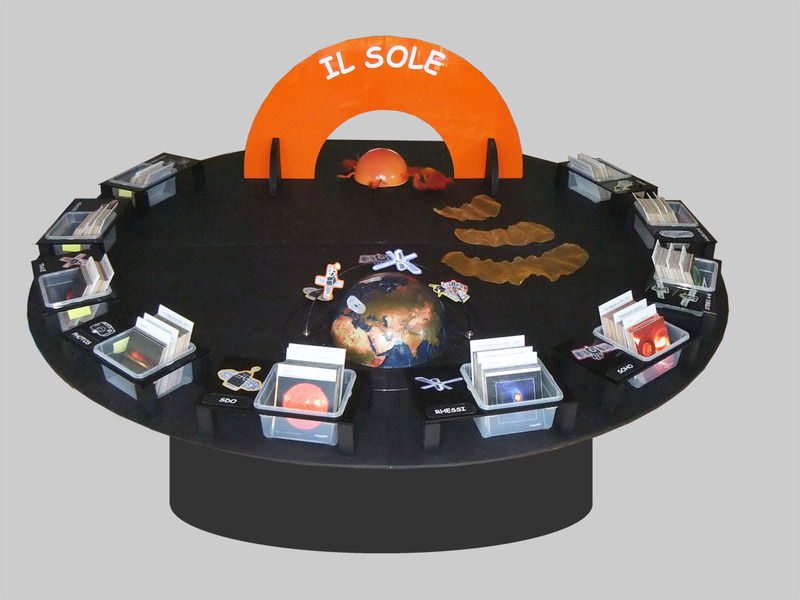 – Some small tables with more explanatory materials: models, an iPad etc. – A screen wit real-time data: SolarMonitor, Helioviewer etc. Partners involved in one of the related research projects can request a box with the materials listed above. Interested in a box but not a project partner? Talk to Hanna hanna.sathiapal (at) fhnw.ch.